Prince Harry and Meghan. 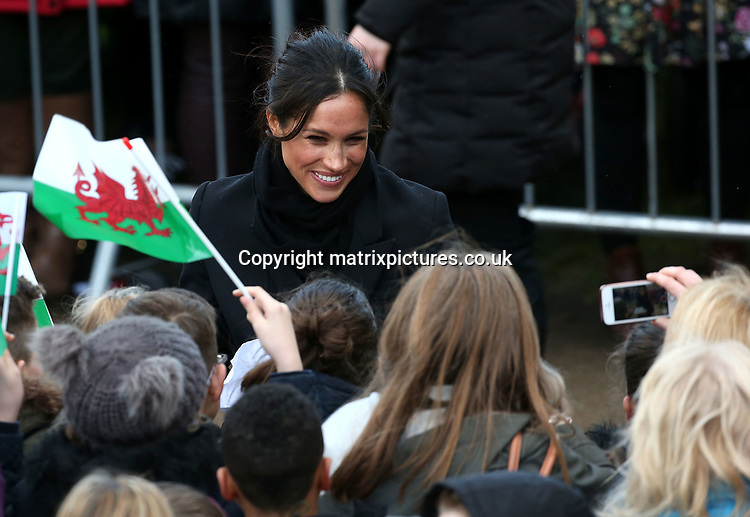 Markle are pictured on a visit to Cardiff Castle in Cardiff, Wales an iconic building with a history dating back 2,000 years. The castle's architecturally rich Gothic Revival interiors will be put to use as the backdrop for a Welsh Culture festival. During their tour, Prince Harry and Ms. Markle will hear performances from musicians and poets, meet leading sportsmen and women, and see how organisations are working to promote Welsh language and cultural identity.